A Pan Mixer also named as Concrete Mixer is a machine which is used for homogeneously mixing the sand, water and other ingredients to make concrete, which is further used in several constructional applications. Trusted among the top-notch Pan Mixer Manufacturers in Mumbai, Meta Therm Furnace Pvt. Ltd has to be on top of your mind for your needs related to industrial equipment. 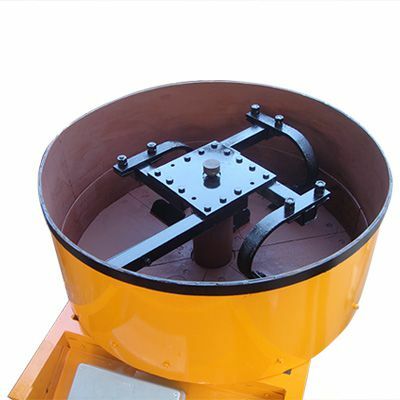 Save Time: The use of Pan Mixer Machine requires less manpower and complete the task of mixing and making concrete in lesser time than the traditional method, which not only saves the time and money but half the burden as well. Durable: This Pan Concrete Mixer is not only fast and convenient to use but also has a durable body and able to work for a long time, even in tough circumstances. Work Fantastically: When you add all the ingredients in the machine, it rotates in a clockwise or anti-clockwise direction to mix them well. Also, it has a powerful motor to support the process and eases the movement. We have established our name in the domain as one of the preeminent Refractory Pan Mixers Exporters and Suppliers in India. We have the best solution for your Roller Pan Mixer needs. Send us your enquiry or make us a call now. Our executives would be happy to assist you.